The most important request from customer was to feel pleasant during the working time. 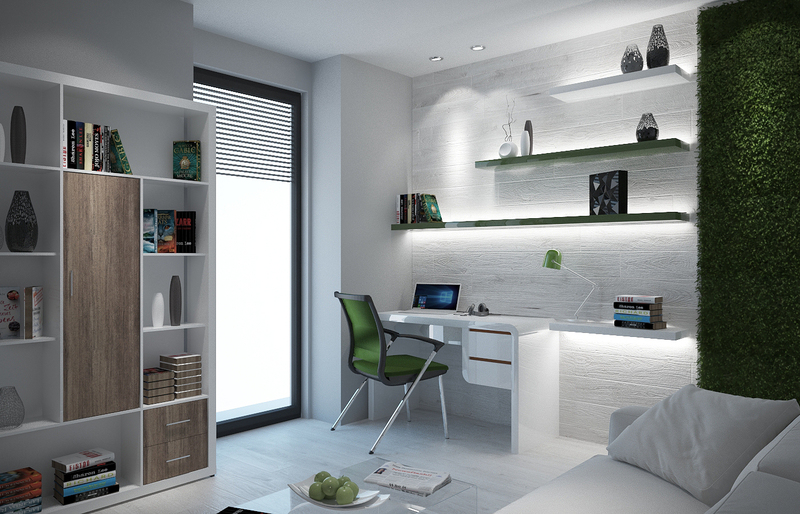 Add a piece of nature to this room was the main idea we,ve been working with. 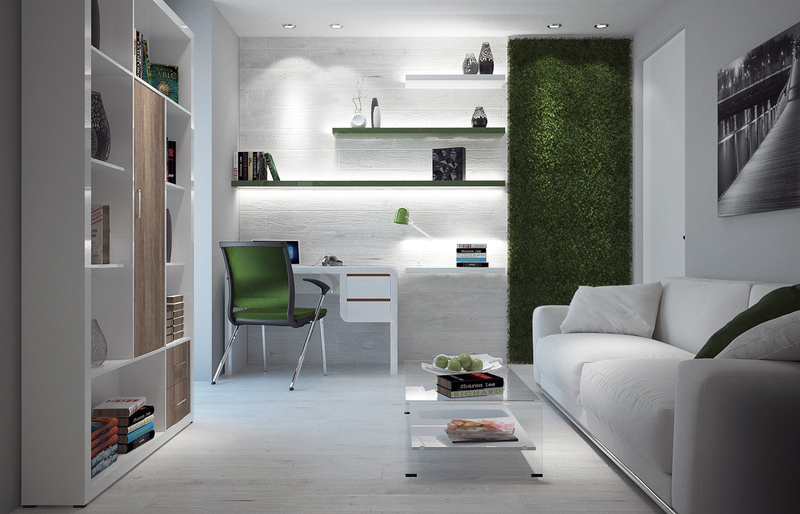 So we,ve placed a wooden floor on the wall as well and made vertical green wall with real grass. Result is beautifull, isn’t it?